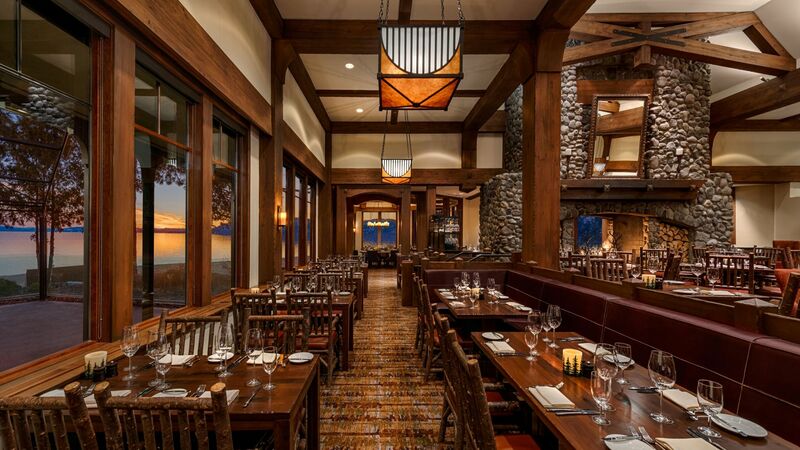 Hyatt Regency Lake Tahoe Resort offers a diverse dining scene. 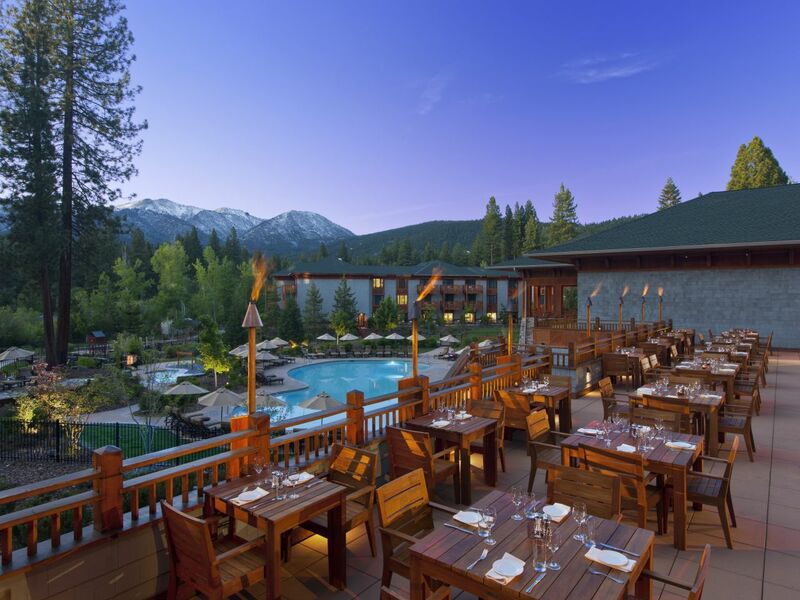 Enjoy stunning views of the Sierra Nevada while dining by the fire at Lone Eagle Grille, a poolside cocktail and burger at Stillwater Pool Bar, and decadent breakfast selections at Sierra Café. 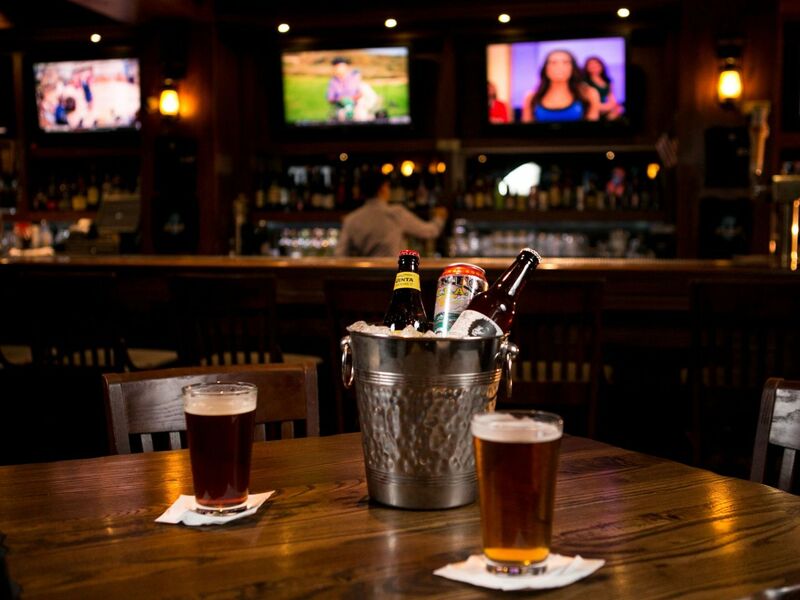 Grab a bite and brew or catch the game on one of our many flat-screen tvs at Cutthroat’s Saloon. 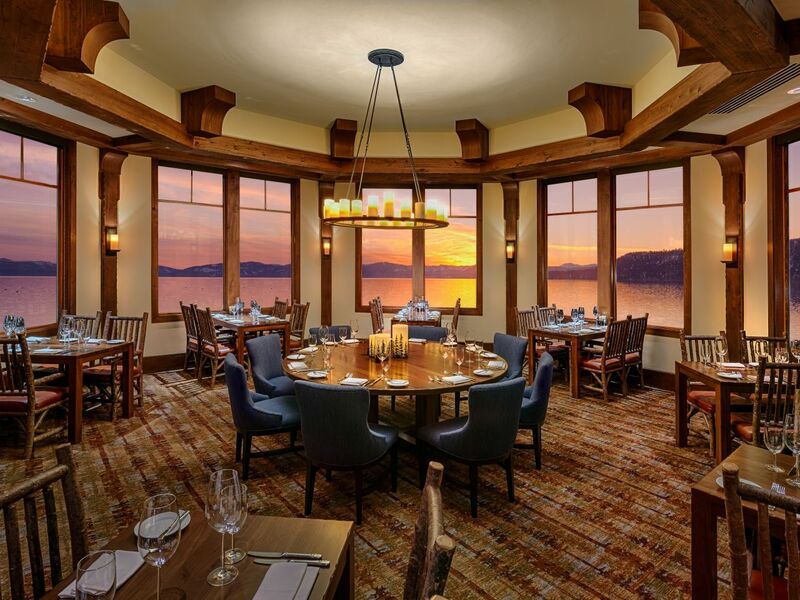 Lone Eagle Grille offers exceptional dining experiences set against the spectacular backdrop of Lake Tahoe and our private beach. Enjoy high-Sierra cuisine such as steaks, game meats, seafood and creative takes on vegetarian favorites created with seasonally inspired local ingredients. Our sommelier’s are happy to assist with the perfect pairing suggestion from our award-wining wine menu. Our Lone Eagle Grille lounge boasts a touch of elegance with sweeping lake views and frequent live music from local favorite Luke Stevenson. 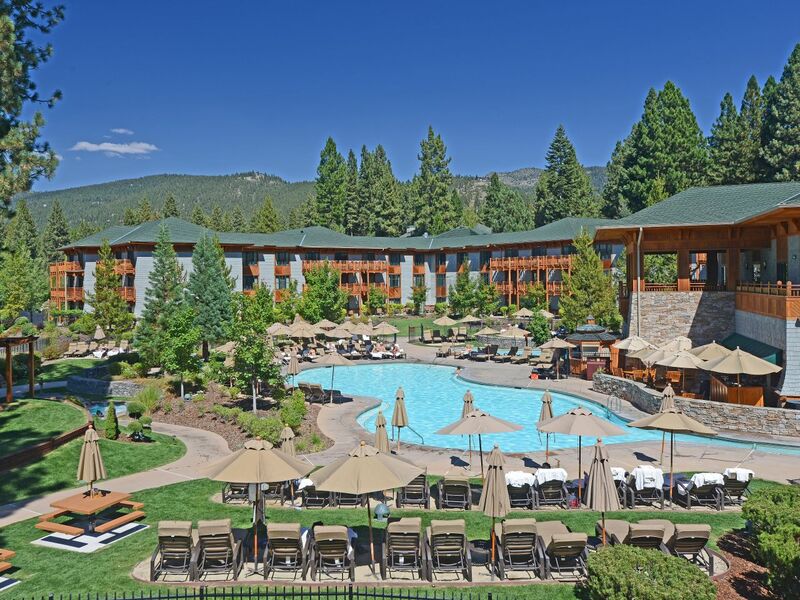 Relax after a day of kayaking, hiking or sightseeing in Tahoe in this sophisticated but casual mountain lodge setting. Sit outdoors on the patio beside the open air fire pits for the best view of all. We are excited for our upcoming refreshment taking place April 14th-19th. During this time, our lounge will remain open with a modified menu and our main dining room will be closed. On April 19th, our Main Dining Room and Lounge will be closed for the day. We will re-open for dinner service on April 19th. Dinner: 5:30 - 10:00 p.m. 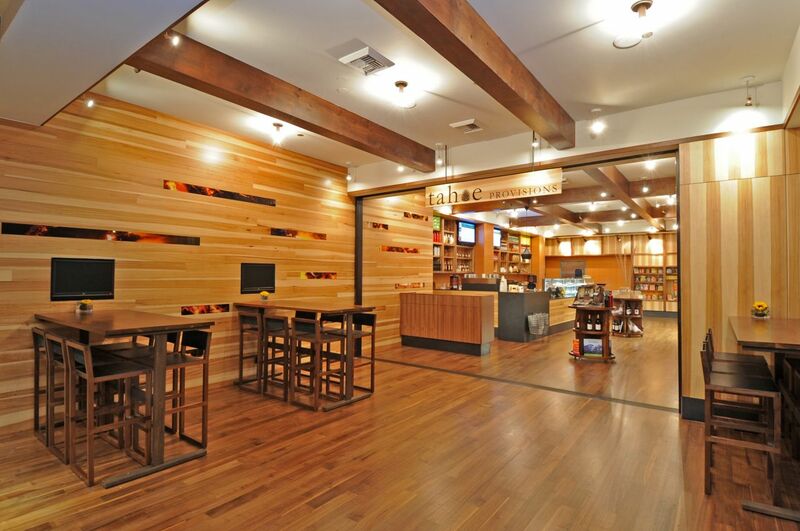 Lounge: 11:00 a.m. – 11:00 p.m.
Sierra Café offers family-friendly, casual dining in a comfortable alpine atmosphere. We proudly use ingredients from the Tahoe Food Hub, which connects restaurants with locally grown and organic ingredients at a fair price. Stop in to enjoy a hearty breakfast or all day dining, indoors or al-fresco! Healthy, vegetarian, vegan, and gluten-free options are available. Dinner: Open seasonally. Please see concierge for current hours. Stop by Cutthroat’s Saloon and catch every game on our 17 flat-screen TVs. Plus, you’ll enjoy gourmet pub food, late-night bites, and more than two dozen seasonal and unique beers. Open late; children’s menu available. Sunday 9:30 a.m. – 11:00 p.m. Join us for game-day breakfast! Stop by our all-day coffee shop for Starbucks® drinks and teas, fresh deli and breakfast items, and in-room snacks and beverages. Looking for a heartier meal? Tahoe To Go service offers a quicker, more reasonable alternative to In-Room Dining. Place your order by dialing ext. 54 from your room and pick up in Tahoe Provisions (in 15 minutes in most cases) and avoid service and delivery charge. In-Room dining is still available upon request. All items packaged in eco-friendly to-go ware. Sip your favorite beverage by (or in) our signature year-round lagoon-style pool. Enjoy casual favorites like made-to-order burgers, overstuffed sandwiches and specialty salads. Stillwater Pool Bar/Grill is closed for the season and will re-open in summer 2019. Meet up with friends for cocktails after a day of hiking or sailing. Pier 111 Bar offers creative cocktails and drinks to accompany the incomparable views of the shimmering lake, snow-capped mountain peaks, dense forest and endless sky. 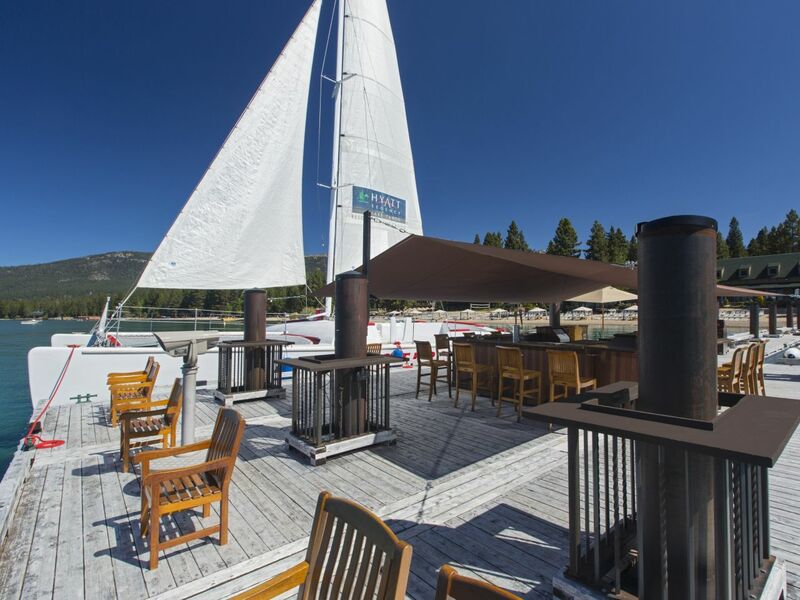 Pier 111 Bar is suspended over magnificent Lake Tahoe at the end of Hyatt’s 275 foot floating pier. Come and enjoy great cocktails and tasty light fare in our beautiful setting and energetic atmosphere. Pier 111 Bar is closed for the season and will re-open in summer 2019. Savor the breathtaking views of the High Sierra Mountains rising around the misty waters of magnificent, mystical Lake Tahoe. 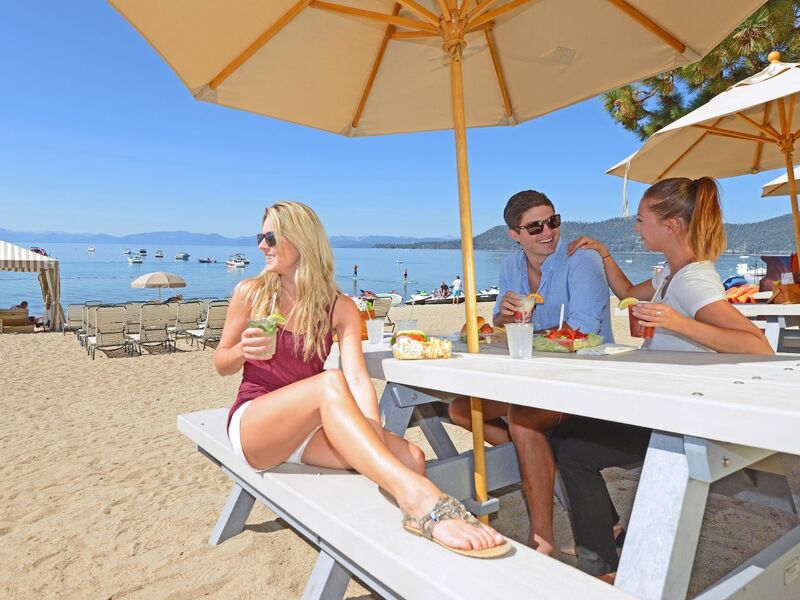 Spend the day, swimming, relaxing, boating, sailing and "getting away from it all" on our sandy beach, and then enjoy our special brand of casual dining in Lake Tahoe without having to leave the shore. Relish the fun, good times and the great food - fresh and piping hot off the grill! Barbeque favorites are served daily for lunch with frozen drinks on our outdoor picnic tables. Lakeside Beach Bar/Grill is closed for the season and will re-open in summer 2019.